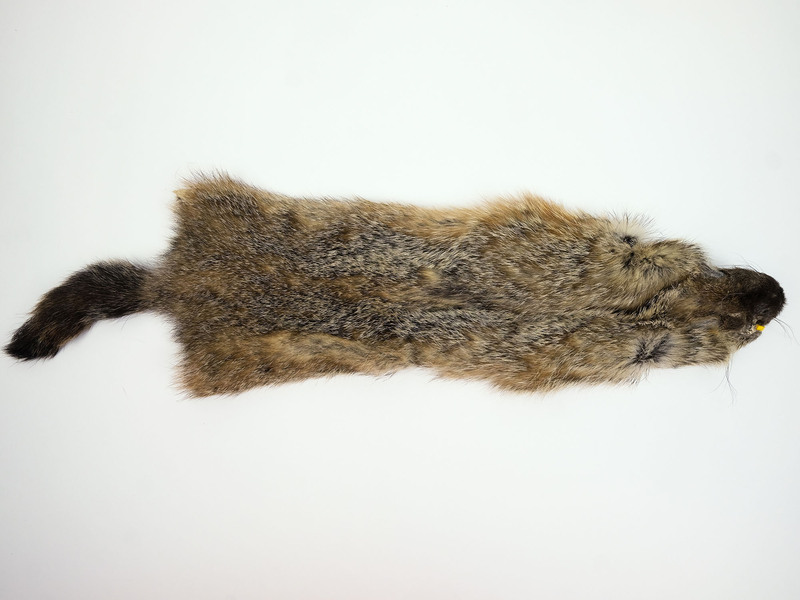 We stock a limited number of woodchuck or groundhog skins. These are also called Whistle Pigs or Land Beaver. The Select quality skins are the best available. The Trading Post quality skins are general good quality skins with a head, good body, and tail. One measured 20" long by 5.5" wide. The Craft grade skins may have holes, rips, tears, or be missing the head or tail. The Reject grade skins are badly damaged and are suitable for fly tying. The groundhogs average 20" to 24" long from the tip of the nose to the base of the tail. 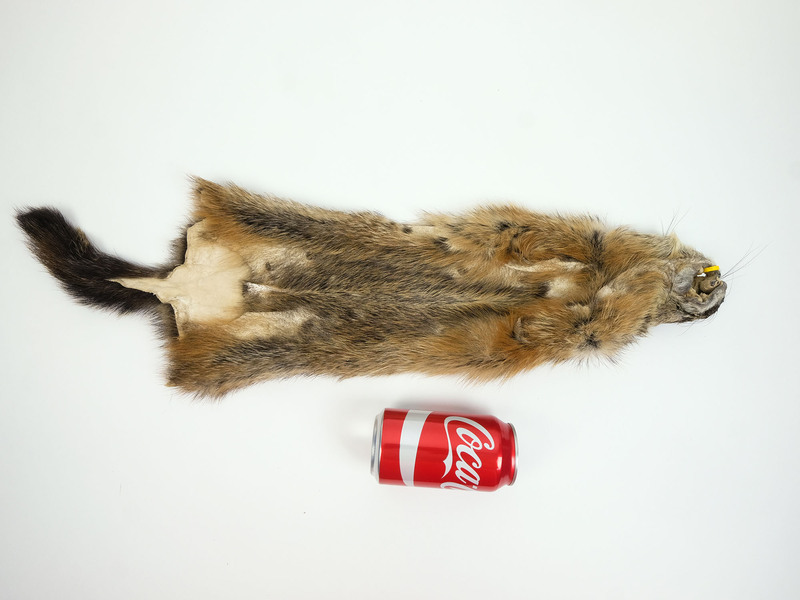 The tail is an additional 5" to 6" long. The cased skins average between 4.5" and 5.5" wide. Genus and species: Marmota monax. Wild. Woodchuck are not endangered and are not subject to CITES export controls.